Fofie Foundation is all about development of children. 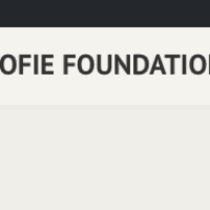 The Fofie Foundation want to create a save environment for less privileged children where they will get the best education possible for their development. Our major project at the moment is the growing star education center in Ghana. Our chairman Dennis Topin is literally building a school to provide education for 1000 children. The project is still going and there is a lot to do and all support is needed.